Home / Shipping News / International Shipping News / CEIBA – Is She the Future of Shipping? CEIBA – Is She the Future of Shipping? Debatably, the short answer is, yes. She and other ships like her, as well as adapted modern cargo ships, will have to become the norm for trading goods across the ocean at the rate we do now if we want to see a sustainable future for the shipping industry. We live in a globalised world, one in where we have become used to having any product from anywhere at the click of a button. 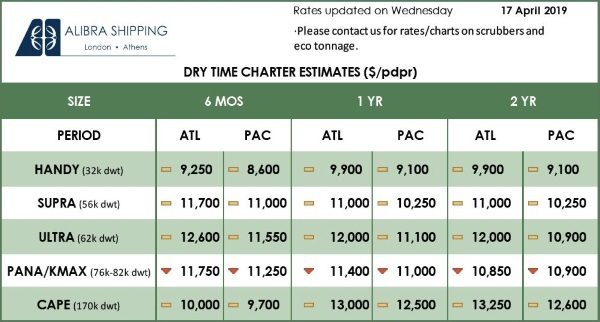 Shipping carries around 90% of the world’s cargo (International Chamber of Shipping) and it accounts for 1000 million tonnes of CO2 annually, or nearly 2.5% of all total greenhouse gas emissions (3rd IMO GHG Study), meaning that the industry will need to find ways to reduce pollution in order to sustainably thrive. Furthermore, just the world’s 15 largest container ships burn as much sulphur oxide as the 1.2 billion cars. Unfortunately the issues associated with the maritime industry don’t stop there, with air pollution levels threatening to overtake all land-based sources altogether by 2020 in Europe alone, oil spills from tankers accounting for some of the world’s largest and bio-acoustic pollution causing major interference and deaths among the oceans’ populations of whales and other marine life who rely on sonar communication. All these and more play major roles in the negative effects shipping is having on the natural environment. However, cargo ships are the backbone of the world’s trade, unexchangeable if we wish to continue to enjoy the luxury of the rapid trading of commodities that we’ve become so accustomed to today. This is why project Ceiba, born through the company SAILCARGO INC. is so inspiring for the future. It is a solution happening right now, on the Pacific Coast of Costa Rica. 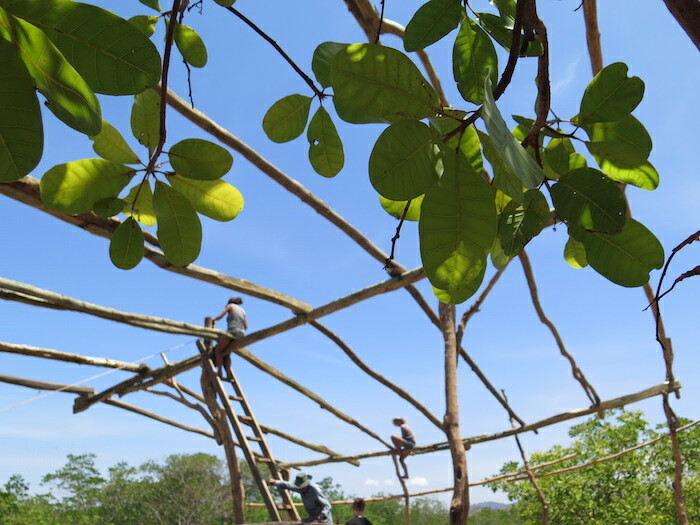 Volunteers and professionals, local and international, are coming together to begin the build of a carbon-negative, three-masted, square-topsail schooner on a beautiful eco-shipyard here in the tropics of Central America. The vision is to construct the wooden ship using old-world shipbuilding techniques cohesively combined with the help of modern technology and knowledge, with as many locally-sourced materials as possible.This means that not only the actual running of Ceiba is environmentally-friendly and regenerative, but, based on a triple bottom line (TBL) financial model, the company must equally consider their environmental and social responsibilities, alongside economic, directly from day 1. This is in order to ensure a more holistic approach to business and the people and places affected. 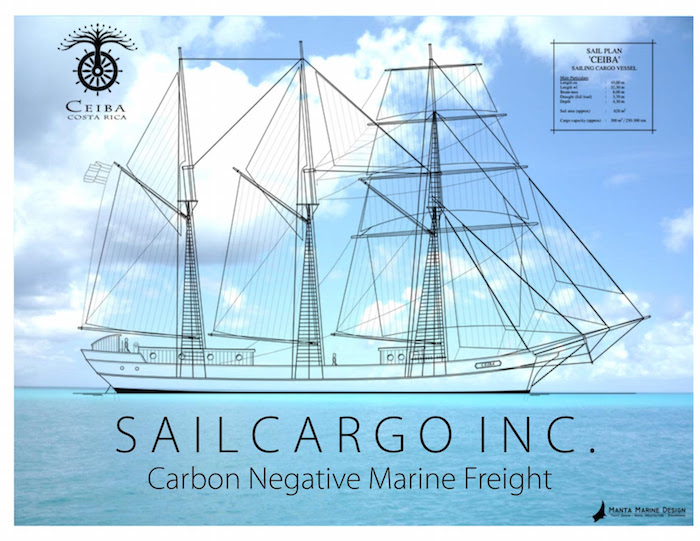 The idea behind shipping cargo under sail is to connect the ethical consumer with the ethical producer and therefore be the missing link in an otherwise sustainable supply chain, making the entire process, start to finish, ethical, economical and sustainable for everyone involved. This project has been created because a gap in the growing ethical consumer market has been noticed, and founders Danielle Doggett and Lynx Guimond would like to help bridge that gap in a way that matches up to those keen and connected responsible producers and consumers. The aim is to sail Ceiba along the Pacific Exchange (PAX) Line – from her home port in Costa Rica up to Hawaii, shipping Macadamia nuts across to Canada, smoked Canadian salmon down to The USA, American barley for the growing Costa Rican craft-beer market, before sailing to Mexico, loading up some organic avocado oil before heading back to base – throughout using only the power of the wind or the 100% self-sufficient solar and battery-powered electric engine. Basing the project in Costa Rica is strategic geographically because of the proximity and access to both the Pacific Ocean and Caribbean Sea, as well as the entire continent of the Americas, and environmentally by helping Costa Rica achieve its goal of becoming the first carbon neutral country by 2021. 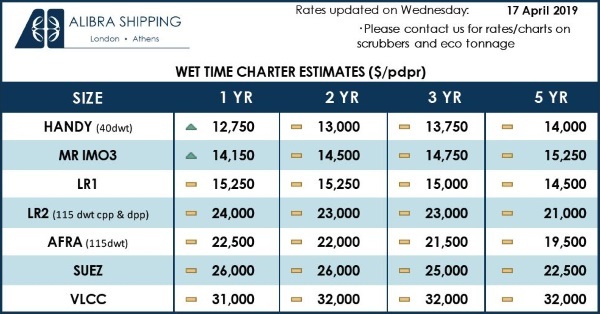 You may wonder how this one small ship alone will really make any difference, (in comparison to the average cargo carrier), to help change the huge sustainability issues of the maritime industry. Ceiba will be able to carry 250 tonnes (350+ cubic metres) of cargo at up to 14 knots using only clean energy, making her a reliable, financially competitive and combustion-free option. Any negative carbon footprint that is created throughout the building and running of the ship will be offset by the annual planting of thousands of trees to offset any pollutant outputs created through unavoidable processes. However, most of the timber has been sourced from windfallen, non-native or plantation-grown trees and 10% of the trees that grow as part of the reforestation programme will be able to be used by the shipyard to build more ships in the years to come. 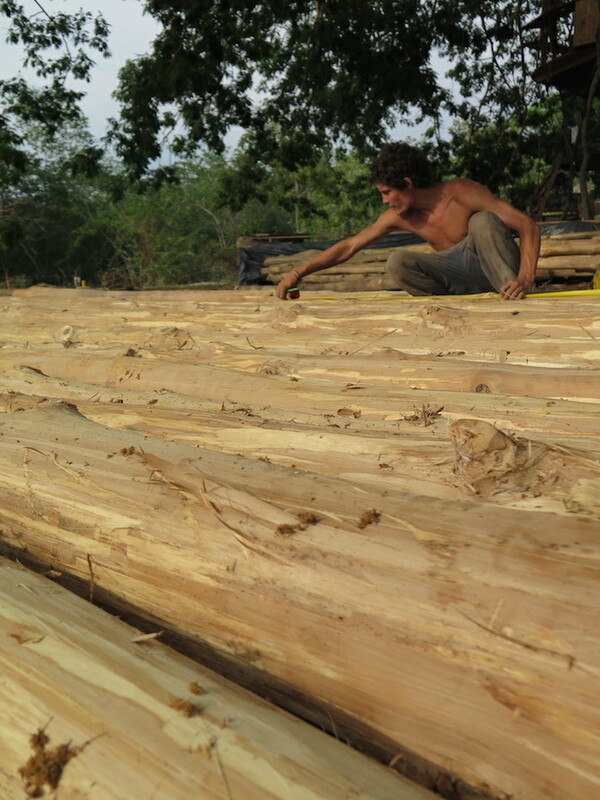 Recently, for example, the last four giant logs of hardwood for the build have been delivered, sourced entirely sustainably by choosing storm-fallen Tamarindo del Monte from Northern Costa Rica, meaning that now 35% of all the total lumber required for the build has been secured. Once Ceiba is at optimal operation, 10% of the profits will also be donated to environmental societies in Costa Rica. Essentially, the base purpose of her existence is simply to provide a carbon-free alternative to existing routes to give producers and consumers the choice to vote in favour of the world they want. She is an example of a solution for change. By sailing honest goods by the power of the wind, it continues to be possible to ship cargo efficiently around the world but with zero emissions created throughout. Her creation makes this mission feel possible, it is just the beginning and Ceiba is only the first ship in a fleet that aims to change the minds of the industry to adopt more sustainable, long-term practices to help gain momentum towards a more sustainable future. It’s about showing the world that there is an alternative and it’s in our hands to make change happen. For more information or to support our project, visit our website www.sailcargo.org, check out our full Business Plan or email [email protected] Our entire project is being funded as it happens, which has only been possible because of people like you, investing in shares, starting at only 100U$D. Around 20% of these have already been secured, so if you are interested in getting involved or investing in your future, contact us soon! Together we can #seashippingchange. Previous: How could Iran disrupt Gulf oil flows?